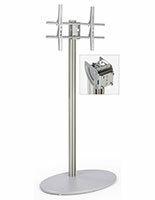 Supports TV Weighing up to 70 lbs. 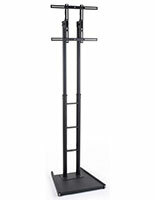 This plasma screen holder that is a flat panel TV display is typically used as a sales tool in retail stores or on tradeshow room floors. 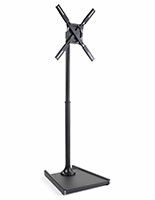 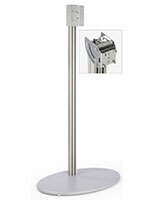 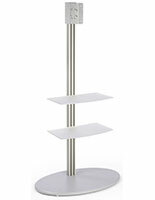 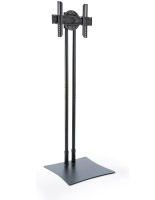 Tilting mounts such as this silver monitor stand can support media up to 70 lbs. 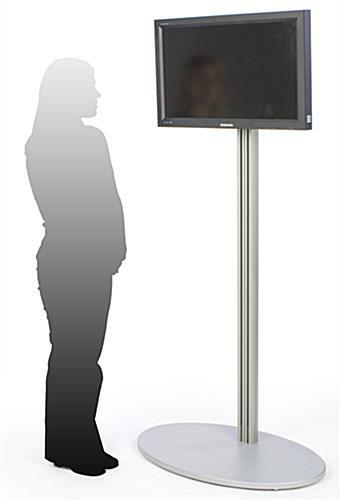 This plasma screen holder, also known as a flat panel kiosk, has a large circular base for stabilizing the presentation area when lots of people are milling around. 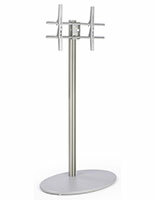 This television stand ships with washers and screws for setup (some models may require additional screws that can be purchased at a local store.) 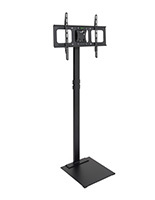 This LCD holder with a 200 x 200 VESA bracket fits most makes of TV's.